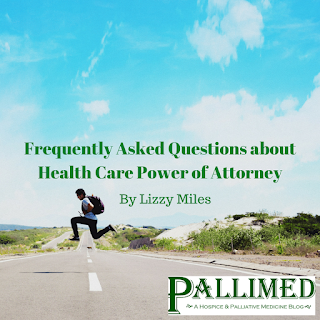 Sometimes when we encourage patients to complete a Health Care Power of Attorney (HCPOA), the patient declines the offer based on mistaken assumptions they have about the document. 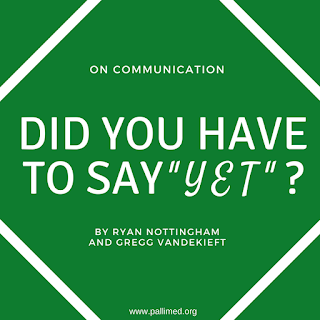 We never want to push a patient into doing something they don't want to do, however, sometimes their resistance is based on a misunderstanding. In an attempt to help address mistaken beliefs and/or concerns, I created a FAQ for our patients. This also can be used for staff as talking points for the discussion. I don’t need one, I am my own decision-maker and I always plan to be. As long as you are able to speak for yourself, you are your own decision-maker. However, as part of the disease process, many hospice patients get to a point where they are unable to express their own wishes. When you designate a HCPOA who understands your point of view, they can step in and tell us what you would want in a situation when you’re not able to tell us. I want to maintain my independence. I don’t want to give up control. A HCPOA only has authority to speak when you are no longer able to share your own preferences. As long as you are still able to indicate your wishes, will we ask YOU. I don’t have anyone I trust to make my health care decisions. If you don’t have a designated decision-maker, you could end up having someone you don’t want or don’t know making decisions for you if you can’t express your own wishes. If you don’t know of anyone in your friends/family circle that you can designate, you could contact a professional representative such as a lawyer. Remember, as long as you are able to express your own wishes, we will ask you what you want. My next of kin (next closest relative) would be my decision-maker. Why do I need a form too? When you designate a HCPOA, you are creating a written document of whom you want to represent you when you are no longer able to speak for yourself. This extra step can be helpful for other family members to know that you’ve confirmed in writing who you trust to speak for you. I have a big family. I don’t want to hurt anyone’s feelings. We rarely see hurt feelings in families as a result of a patient completing this document. In fact, written documentation with this specification of who you choose to be your future decision maker makes decisions easier. Sometimes with big families there can be many different opinions expressed. A written document designates a point person of your choosing to make the final call. Each family is different. If you think it might be helpful, you could tell your family why you chose certain individuals. Ultimately, it is a bigger challenge to family dynamics to NOT have this paperwork. If you are still able to make your own decisions, you can always change the paperwork. I don’t want to think about this right now. It’s understandable that the thought of having someone else making decisions on your behalf may be unpleasant. We encourage patients to complete the paperwork now rather than later because it can bring peace of mind. A completed Health Care Power of Attorney will assure you that if/when you are no longer able to speak for yourself that your representative is someone you chose. I have a document from another state. Isn’t that good here? It could be. If you completed a valid legal document in another state to designate your Health Care Power of Attorney, our state's medical professionals might be able to honor it. We need to review it to be sure. We recommend that you share your document with hospice staff to ensure that we understand your choices for decision-makers. I think I completed a Health Care Power of Attorney before but I don’t have a copy. If you don’t know where your document is, then we are unable to honor it. If/when you are not able to make your own decisions, we would need a copy of the written documentation of your chosen decision-maker. This is for your own protection to ensure we are checking in with the right person. Can’t I just tell you who would be my decision-maker? You could, but in the event that you have interaction with other medical professionals, they wouldn’t know what you told us. When you put your preferences in writing, it’s a physical document that you can share with whomever is providing care. We hope you found this FAQ to be helpful. Let us know via Twitter, Facebook or email. 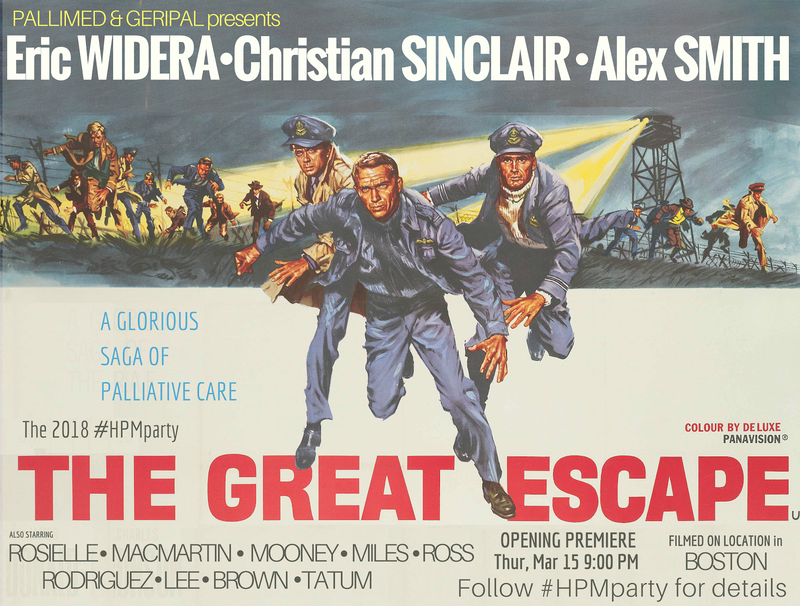 Every February the questions start rolling in, "When is the Pallimed-GeriPal party?" Just so you know and can mark it on your calendars from here to eternity, it has a standing reserved spot on Thursday night at 9pm local time the week of the Annual Assembly of Hospice and Palliative Care (but just to be clear it is not an official part of the meeting). And as always, feel free to invite and bring any colleagues or new friends with you as this is not an exclusive crowd. On February 1, 2018, the Centers for Medicare & Medicaid Services (CMS) published its Advance Notice of Methodological Changes for Calendar Year 2019. Included in these proposed rules were several directives intended to reduce "Opioid Overutilization” (see p. 202), including formal adoption of the “90 morphine milligram equivalent (MME) threshold cited in the CDC Guideline, which was developed by experts as the level that prescribers should generally avoid reaching with their patients (p. 203).” CMS proposed “adding additional flags for high-risk beneficiaries who use ‘potentiator’ drugs (such as gabapentin and pregabalin) in combination with prescription opioids (see p. 204).” CMS also proposes a 7-day limit for initial fills of prescription opioids for the treatment of acute pain. 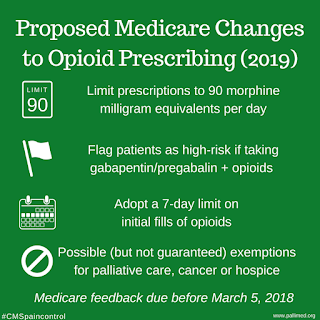 The proposed CMS rules are unclear about exceptions for patients enrolled in hospice or with cancer pain, but there seems to be a mechanism in place for prescribers to apply for an exception for each individual patient (p. 209-210). On learning of these proposed CMS rules via social media, many members of the hospice and palliative medicine (HPM) community expressed several profound concerns: Foremost, how would these changes impact our patients and their care? How will the rules affect our daily practice? And, for the HPM policy wonks, how did the 90 MME threshold make its way into proposed federal policy without evidence from the medical literature. As one of the aforementioned HPM policy wonks, I’d like to address the last question first. The 90 MME threshold was born in 2012, as part of a non-solicited petition to the Food & Drug Administration (FDA) from a group of physicians who identified themselves as subject experts and referred to themselves as Physicians for Responsible Opioid Prescribing (PROP). Ultimately, after reviewing open comments from stakeholders, the FDA declined adoption of PROP’s 90 MME proposal. Undeterred, PROP successfully sought to place the 90 MME provision in the CDC Guideline for Prescribing Opioids for Chronic Pain, leading to criticism of the CDC for a lack of transparency by the pain management community. Ultimately, the CDC did recognize that certain patient populations, including patients receiving hospice and/or palliative care, might legitimately require opioid doses exceeding the 90 MME limit. 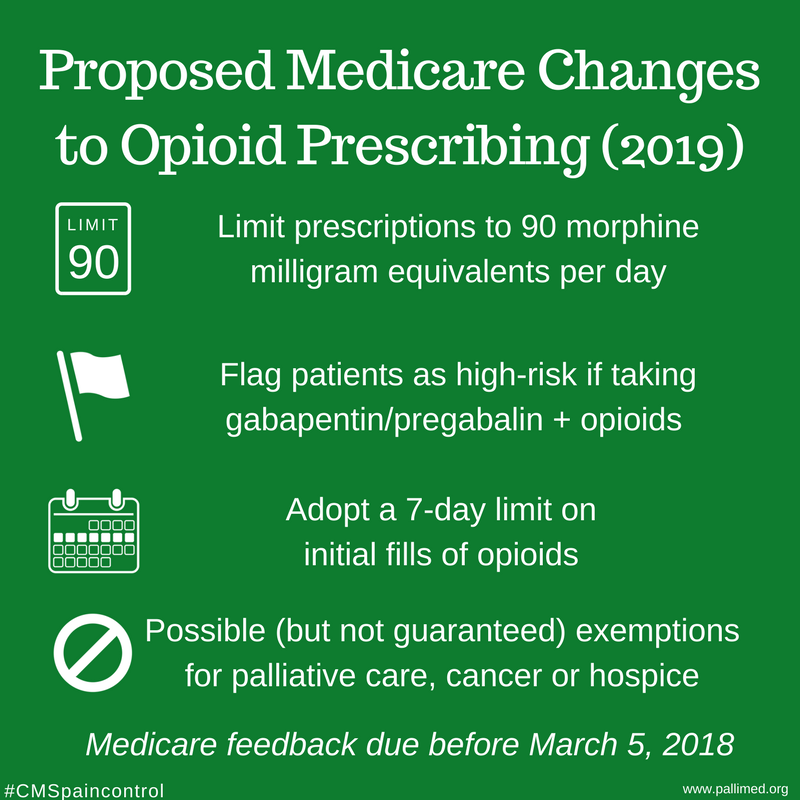 The current CMS proposed rules, however, do not offer an exemption to this limit for these patients; they would instead further codify an opioid dose limit that was largely created in an arbitrary fashion based on a self-selected group of physician “experts” with no accountability to the HPM community. This observation likely concerns those of us who ask how – as HPM practitioners – the proposed CMS rules will affect our practice. Of much greater importance is how these proposed rules would affect our patients. Opioid stigma in the setting of “The Opioid Crisis” is already a major barrier to patients receiving hospice and/or palliative care that adversely impacts their access to medications needed to maintain their quality of life. For example, in a recent study of 250 patients receiving outpatient palliative care at a cancer center, 54% reported feeling stigmatized for their use of opioid analgesics and 73% reported difficulty filling opioid prescriptions (Kollas CD, Boyer-Kollas B. Assessing Opioid Stigma in Oncology Outpatients Receiving Palliative Care for Cancer-related Pain. Accepted to 2018 AAHPM Annual Assembly). The proposed CMS rules, in their current form, would add to patients’ perception of opioid stigma and, at best, will result in delays in receiving medications to manage their chronic pain. At worst, some would not receive the amount of medication needed to relieve their pain, severely impacting their quality of life or driving them to desperate measures, like seeking illegal drugs. Ironically, CMS new rules could unintentionally accelerate the emerging trend in opioid overdose deaths: deaths from illicit drugs, like heroin or illegal fentanyl (see CDC data here). My first thought was, “let’s use the reach of Pallimed and social media to amplify women’s voices on this commemorative day!” As soon as I sent the DM I realized, maybe this wasn’t the wonderful idea I initially thought. Thankfully they didn’t point this out to me, but what followed was a really fantastic conversation that Katie noted: “We could publish this thread!” So we organized and streamlined some of the discussion would love to share some of our observations to broaden the conversation. Sinclair: Sorry for the group DM, if some of you don't know each other. But I was wondering if any of you would be interested in writing a piece on National Women Physician Day for Pallimed. Meredith (@GraniteDoc) wrote one in 2016. We didn't have one in 2017, and this one just snuck up on me and I didn't think to get one drafted before this year's day. You can email me with a submission. Will get it published today or tomorrow if I get it today. And if you want to enjoy your weekend, not writing, that is perfectly acceptable! No pressure, honest. Harmoney: I'd love to, but am actually volunteering at a cancer fundraiser. Dietz: May be able to, subject to the whim of a 16 day old. Right now I would probably rant in a sleep-deprived manner about parental leave. 😆 But yes, what Allison said, LOL. First USA HPM Physician: Dr. Elizabeth Kubler-Ross? Dietz: I would love to work on a post about women leadership in early HPM but I don't think it's going to come together this weekend. Next year's women's day? Ross: Did you have a woman mentor play an important role in HPM for you. I would say that is why I’m grateful to mentors who help me think about how to balance life and work. Dietz: I haven't had a female mentor. I can only imagine that would be a very helpful experience! Jordan: Sarah, I would strongly advocate for a mentor. And peer mentors too. Sometimes your girlfriends will be great cheerleaders to give you the courage to ask for what you need/want. I have different mentors for different reasons. I have a mentor for work/life balance. 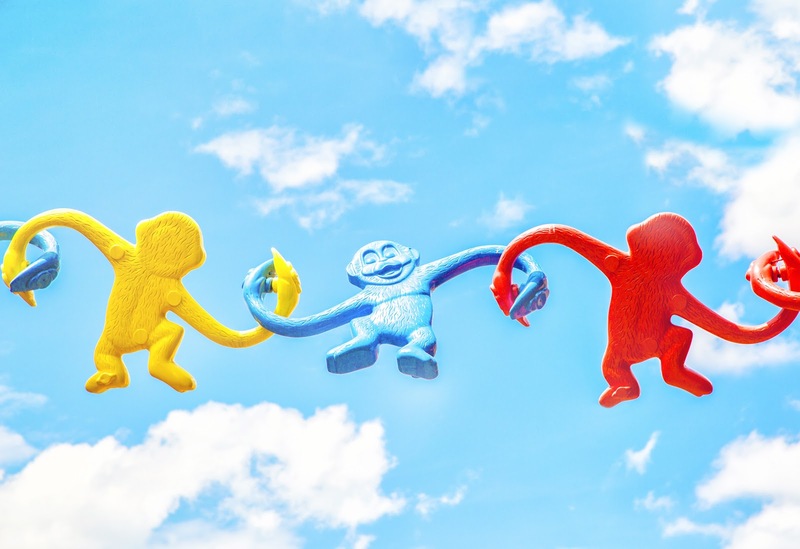 I have a mentor to help me with leadership skills, and I have a mentor to help connect me with people. I have the mentor for when I need a kick in the pants to push me to not settle. Harmoney: Yeah. It's so important to pick mentors for each thing. Jordan: LOL! I need a lot of help. It takes a village! But I can’t do this alone and there are women and men out there who have AMAZING knowledge. Harmoney: My HPM mentor is a lady. She's very helpful and open about her own struggles. Helps that she’s late/mid-career. Jordan: So the mentorship is great, but it still doesn’t fix systemic problems with the way our jobs are designed. Harmoney: We need a fundamental culture change. Jordan: I agree Katie. if we all work together and advocate for what we need, with the support of mentors, change can happen. We need people in leadership and positions of influence to help change the culture. Otherwise we will continue to have burnout, physician shortages, and people choosing to not go into HPM or medicine. Harmoney: We have this in peds oncology too. So much pressure, jobs are super competitive, funding is scarce. Jordan: I worry about my goddaughters and they see me and their mom in medicine... I want it to be different for them. Right now they don’t understand what we do (they are 2 and 4) but they clearly get we are not like other women in their lives. Harmoney: Medicine also has a culture of us doing everything: patient care, research, grants, writing. It’s unsustainable. Harmoney: Gifted physicians are being forced to choose family versus career because it's a system not designed to accommodate both. Dietz: True for both male and female! The system is damaging for both genders but it exists in part because the structure is built on one parent at home full time to enable crazy work hours and expectations. Jordan: There is talent literally walking away from medicine because of poor design. I bet burnout would decrease and we could retain talent if we had a part in the design. Thienprayoon: My husband had a job gave him 6 weeks paid paternity leave. which was AWESOME. he felt guilty for taking it, since no one else does, because that is the culture of the company. Looking to the future, leave is not something he'll likely get again, which impacts us and our whole family SO much. Dietz: My husband had to spend 2 weeks of sick/regular leave for his "paternity" leave, since FMLA would have been unpaid and we can't afford that. His group worked with him but it shouldn’t be this complicated. It's ridiculous. 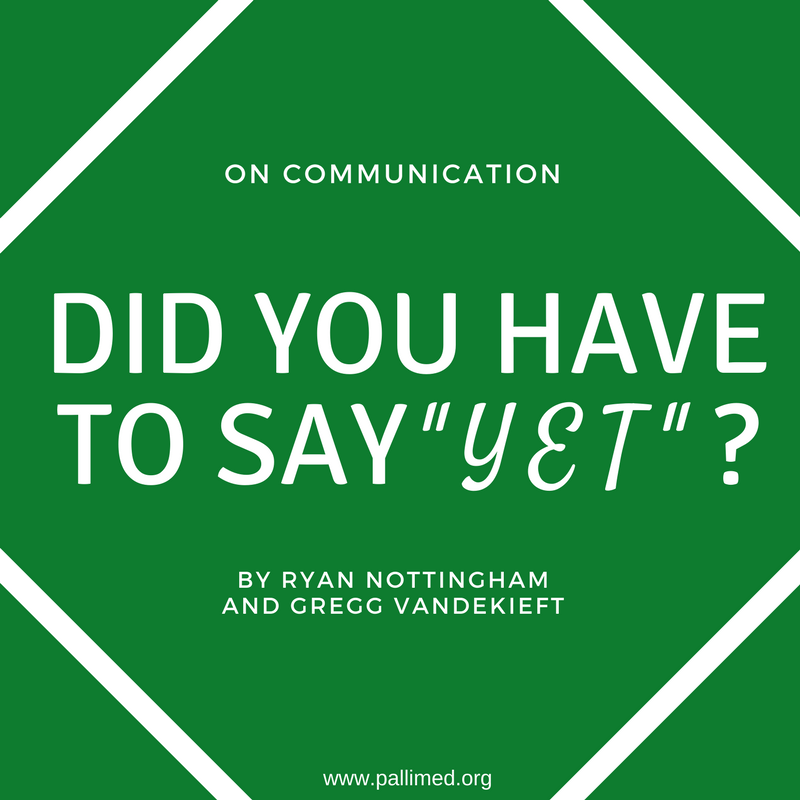 There is such a backlash for physicians in general against taking time for family, things as simple as looking for positions that don't require call, or even that do have call but on a predictable schedule instead of random assignments. Pumping at work, heaven forbid. I’m grateful my current workplace is supportive but I know many who are not as lucky. Ross: I like this thread Esther Choo (@choo_ek) has going showing all the disparities in medicine. Harmoney: We could publish this thread. Ross: Christian, the post could be about how you tried to get HPM women to write a post and you got an earful about why we couldn’t. Sinclair: I just went to make lunch for my kids and came back to all this! I learned a lot and see a lot of some of the issues Kelly and I face together and as individuals. I like Katie and Jeanette’s idea. Jordan: There needs to be more flexibility. This job and especially Palliative Medicine is HARD. You can’t expect me to see a high number of consults, make people sad all day, and then get upset when I want to not take call on weekends and nights. Harmoney: But the issue is that we are hard on each other. We’re part of the problem. Jordan: We have to speak up and say NO to some of the foolishness. Harmoney: And also support one another. 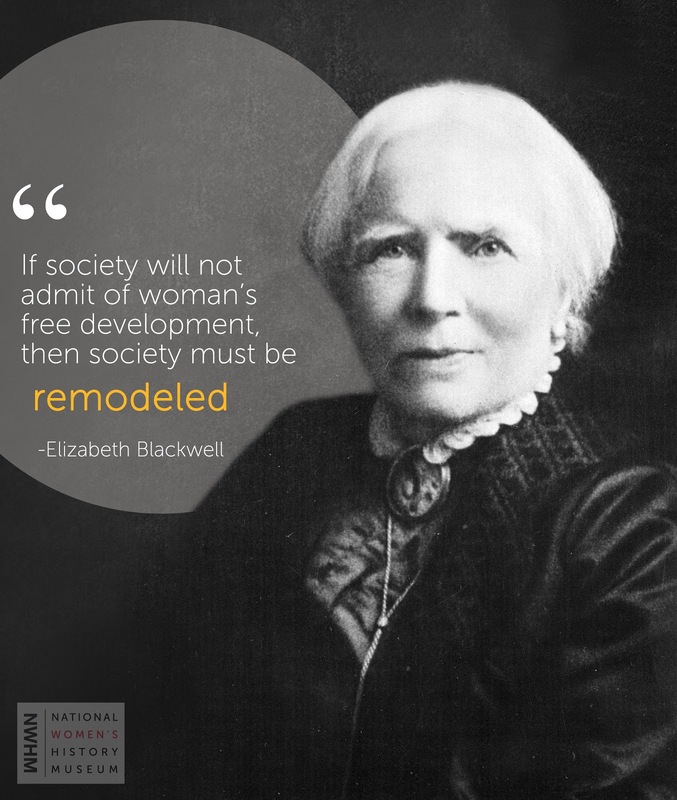 We've got to advocate for our colleagues, male or female. It's really the only way to fix this. I do think that medicine has worn down my resilience. People in medicine need to advocate for our health. Jordan: We need to not suffer in silence. 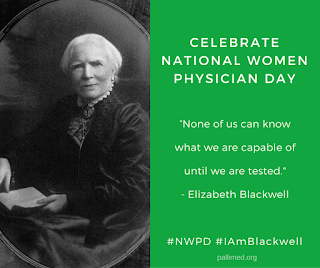 Women physicians and especially us doing HPM should not work alone. We need each other! Harmoney: We need to hold each other up! Jordan: I’m thankful that during my med/psych training they paid for us to go to therapy. Harmoney: I think of therapy as a requirement in medicine. Jordan: I worried about my non-psych colleagues. They didn’t get help and their department would NOT cover therapy. Therapy should be part of the redesign of medicine. Hahn: I want mac and cheese. Dietz: 3 yo NEEDS mac and cheese y'all. It's dire. Harmoney: It's a serious need. Ross: I wonder if there any stats about how women are represented in HPM, like how many are in leadership positions like regional hospice medical directors, division chief, etc? Jordan: Good question. How is the Academy (AAHPM) doing? How is HPM doing? Ross: My gist is that we may be better than other specialties. HPM being founded by a woman and I think a good group of women started AAHPM. For example, Chest (the pulmonary society) just now has a woman president-elect. That doesn’t mean we still have room to grow. Sinclair: I count 15 men and 12 women as Presidents of AAHPM since founding in 1989. Jordan: Plenty of room to grow. I think women would be more inclined to take leadership positions if they knew they would have adequate support at work AND at home. Sinclair: I recall being surprised in 2008 or 2009 a session at the Annual Assembly of HPM focused on “Women and Leadership in HPM.” My career had essentially been working only with women physicians as colleagues and supervisors. I was wishing for more male physicians honestly. Only recently did I realize what the need for that session was. Currently, our HPM physician group is 3 men, 8 women led by a woman. Ross: In my department, we are like 8 women to 2 men HPM specialists. Harmoney: HPM seems much more balanced than oncology. 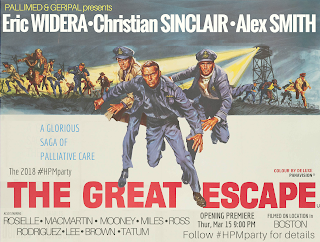 HPM is a field where we have this discussion. Jordan: True Katie. We actually have a better shot at changing the culture. Because we are new, we have a unique opportunity to negotiate and define our role as we become part of the fabric of healthcare. We might be a beacon of hope that can become a model for other outdated specialties. Harmoney: I was floored during interviews because I was asked about self-care. Jordan: The other specialties may look to HPM to figure out how to do self-care right. So we have to get it right and set the tone. And with a woman at the lead, it can happen. It could happen with a guy too, don’t get me wrong. Ross: I see an AAHPM 2019 submission in our future. 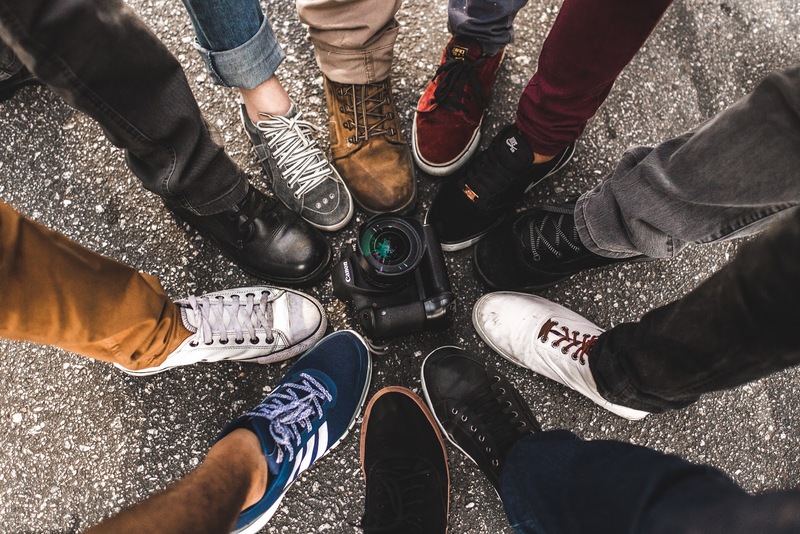 Harmoney: As a group? I’m down. I'm interested to see what this looks like. Hahn: Oh my just read through this whole thing! It really could just be published! You can find all of the authors on Twitter: Allison Jordan (@doctorjordan) , Katie Harmoney, SarahScott Dietz (@SDiezMD), Jeanette Ross (@RossJeanette), Emily Hahn (@TexasKidDoc), Meredith MacMartin (@GraniteDoc), Christian Sinclair (@ctsinclair), Rachel Thienprayoon (@RThienprayoon). They often tweet about #hpm.